Ah, the summer road trip. A fun, freeing way to traverse the country, see the sights, and…go totally broke before Labor Day? While a road trip may be a more affordable vacation option then say, a European cruise or a private jet around the world, that doesn’t mean it’s guaranteed to be wallet-friendly. Without taking the proper precautions, you may inadvertently spend way more on an automobile adventure than you intend to. But taking just a few points into consideration can spare you an unpleasant surprise when that post-trip credit card bill comes through at summer’s end. Sure, flying by the seat of your pants may sound glamorous and exciting, but going wherever the wind takes you will likely take you down an unnecessarily expensive rabbit hole of wrong turns and sky-high hotel rates. 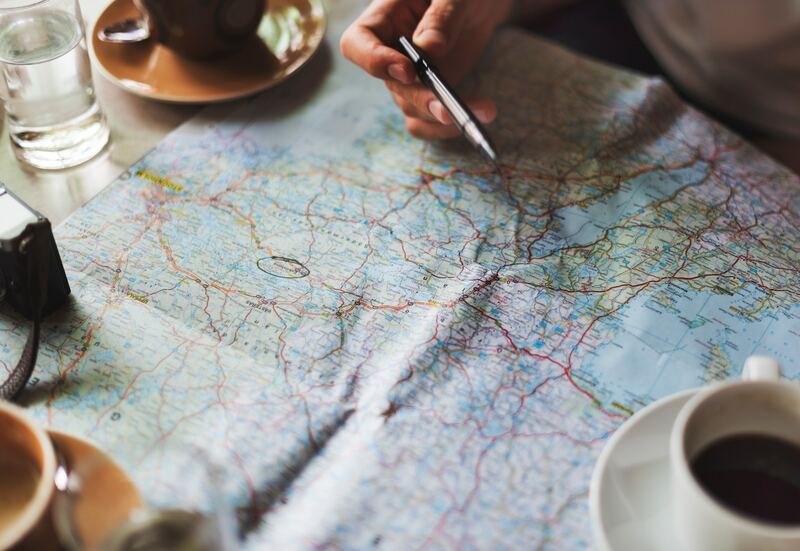 Take some time before you take off to plan your route and maybe even eye the restaurants you might want to stop at along the way. Booking hotel accommodations in advance will help you sidestep last-minute price hikes, and getting to know your path before you get on the road may prevent accidental off-course exits that require a lot more gas than you budgeted for. Speaking of that gas tank—long drives can result in shockingly frequent stops to fill up, and prices can vary a ton depending on where you go. Luckily, there are several apps on the market that take the guesswork out of gassing up. Gas Buddy and Gas Guru are two apps that helps you locate the cheapest fueling stations in your area, and community-based app Waze offers real-time traffic information and current gas prices. Stock up on snacks the smart way. Look, we all love a good mini-mart shopping spree, but buying up chips, drinks, gum, and that irresistible-but-sure-to-break-in-two-seconds pair of sunglasses at every stop isn’t a great idea. Stock up on water and snacks in bulk before you hit the road, and if you absolutely have to satisfy a sudden Slurpee craving, put yourself on a strict one-item-per-stop regimen and resist the urge to impulse buy. The worst way to spend a road trip? Stranded by the side of the road. Avoid the inconvenience, hassle, and major buzzkill of an unexpected breakdown by hitting up a local mechanic before you leave. Seeing someone you trust will also lessen the chance for getting swindled by overpriced services on unfamiliar turf. Again, this is where a little preparation and a pre-trip Costco outing or Amazon order come in handy. Even if you’re road tripping to a major destination with plenty of shops, you can save tons of cash on essentials like sunscreen and batteries if you buy them in advance. The most important must-have for a flawless road trip? Car insurance that has you covered. So, if you haven’t made the switch to pay-per-mile car insurance, visit www.metromile.com for a free quote today. Michelle Konstantinovsky is a San Francisco-based journalist/writer/editor and UC Berkeley Graduate School of Journalism alumna. She’s written extensively on health, body image, entertainment, lifestyle, design, and tech for outlets like Cosmopolitan, Harper’s Bazaar, Marie Claire, Teen Vogue, O: The Oprah Magazine, Seventeen, and a whole lot more. She’s also a contributing editor at Fitbit and the social media director at California Home + Design Magazine. She is an avid admirer of shiny objects, manatees, and preteen entertainment.